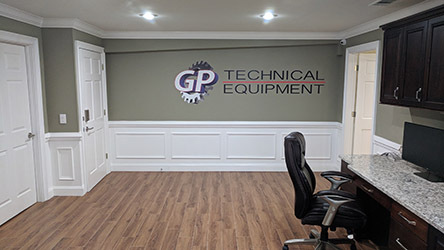 GP Technical specializes in the buying, selling, trading, appraising, and removal of used industrial test equipment and non-destructive testing equipment. 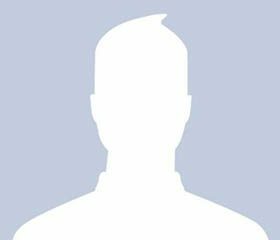 We are located in Pooler, GA and have built a reputation of customer service and support worldwide. GP Technical has a nationwide search and referral system that allows us to acquire a variety of quality used equipment. Our office is conveniently located 3 minutes from Savannah International Airport, and all equipment can be inspected prior to purchase. Call to speak with our knowledgeable sales staff and we can use our automated inventory system to answer your equipment questions and forward videos, photos, specs, and quotes within hours of your request. GP Technical carries and supports all leading manufacturers specializing in Olympus, GE, Fluke, Zetec, Thermo Scientific and more. Our equipment has typically been calibrated in laboratories accredited by the American Association for Laboratory Accreditation (A2LA) in accordance with the recognized international standards ISO/IEC 17025:2005, ANSI/NCSL Z540-1-1994 and all other requirements in the field of calibration. When you do business with GP-Technical you are getting world class service not offered by many companies these days. We make sure every customer has the knowledge and confidence to move forward with purchasing any piece of equipment we offer. Here at GP-Technical everything listed on our store we have in stock to ensure a seamless experience from the moment you purchase to the moment you receive our product. We offer a 30 day limited warranty and a 14 day right of return on all of our products as we stand behind everything we sell. Our staff is very knowledgeable about everything we have listed to provide you with the correct information so you get exactly what you need to get the job done. relationships and a vast understanding of not just the market but what it takes to get the job done right the first time. When you buy from GP-Technical you can purchase with confidence knowing you are getting the full package from the moment you reach out to us to the moment you take delivery. Next day shipping at there cost , excellent tool, helpful after sale thank you.